Seventeen – Great Food at Great Prices. Based in Coxhoe, Norma Lowther has over 30 years experience in providing great food in Durham. Norma runs a cafe and bistro while providing a fantastic outside catering service. 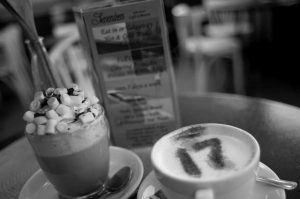 Located in Church Street in the Centre of Coxhoe, Seventeen is an excellent and very popular cafe/bistro. Seventeen is fully licenced and speialises in great, old fashioned home cooking. 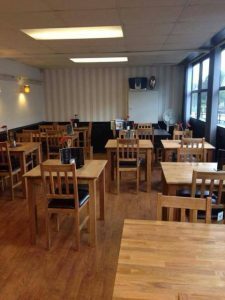 It offers a great selection of hot and cold meals including breakfasts to order, lunches (from 11.30am), cakes, sandwiches and paninis. Seventeen provides a wide choice of hot and cold drinks including quality coffees. The cafe bistro takes bookings but walk-ins are welcome. It is good for groups and great for children. Service by Norma, Rachel and Maureen is second to none and the excellent prices mean that all food and drink is exceptionally good value for money. With over 30 years experience in the catering trade Lowther Catering in association with Coates Butchers specialise in freshly prepared cuisine prepared daily on their premises and delivered to your business or chosen venue. Seventeen provide a range of catering need from that important business lunch to impress that special client to a full hot or cold wedding breakfast. Normas team are here to assist you with any occasion. Menu choice and prices range to fit all budgets. If you have any special needs contact Norma and she will endeavour to meet your requests. Seventeen provide free delivery. All finger buffets are delivered complete with disposable plates, cutlery, napkins and table coverings where required.